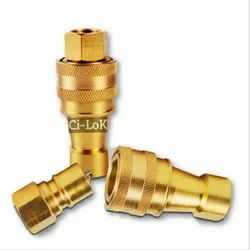 Offering you a complete choice of products which include snap tite type quick release coupling, through type quick release coupling, quick release coupling brass snap tite type, brass double check valve and single check valve. 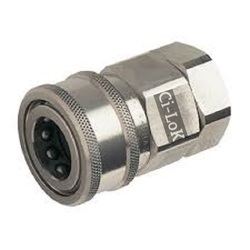 Thread Size 1/8" to 3"
We are the leading manufacturer of QRC Snap Tite Type. We also export world wide. Reckoned amid one of the credible market names, we are willingly betrothed in offering to our patrons QRC Through Type. Developed and made up in line with the principles laid down by the industry, these are highly in demand. 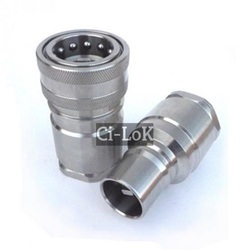 Together with this, these are inspected on a variety of standards before the final shipment. 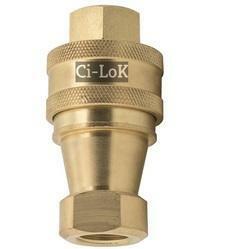 Thread Size 1/8" to 2"
We are engrossed in presenting a wide variety of QRC Double Check Valves. Due to their elevated finish standards, simple installations and reliability; these offered valves are broadly acknowledged and cherished. To add, our customers can buy these from us at highly inexpensive rates in bulk. 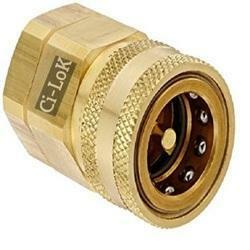 We are leading supplier of Single Check Valves. We also export world wide.